The proposed safety and capacity improvements for this project will take place on Red Mill Road between SR 273 and the northern entrance of the Liberty Square apartment complex. Project improvements extend northward to Diminish Drive. This project was identified by the 2012 Hazard Elimination Program study (Site V) due to a large number of crashes in the area. Left turning traffic from Red Mill Road to eastbound SR 273 backs up, making left turns onto Red Mill Road Spur and turns from Red Mill Road Spur more difficult. An additional left turn lane onto eastbound SR 273 was recommended. The project is currently proposed to add a left turn lane from Red Mill Road to eastbound SR 273. Realigning the Red Mill Road / Red Mill Road Spur intersection will also help increase the distance to the SR 273 intersection, allowing longer left turn lanes to eastbound SR 273. 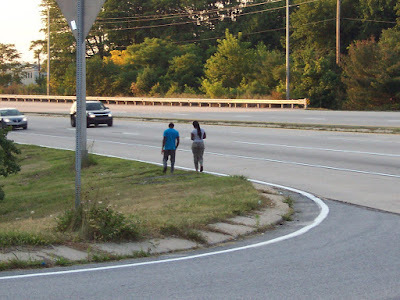 Additionally, pedestrian improvements will be made by adding sidewalks to connect the existing crosswalk at SR 273 to Liberty Square Apartments and Harmony Woods. Bicycling safety improvements are not mentioned, and they very much need to be. 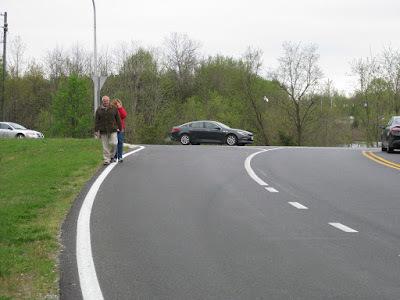 This section of Red Mill Road is sandwiched between two retention ponds with steep drop-offs, so it would appear that adding the additional left turn-only lane for cars and a sidewalk for pedestrians could meet or exceed the limits of the ROW. Therefore, it's quite possible that bike lanes will not fit. We'll know more if a project workshop is scheduled, or if/when we see the drawings. Projects like these should be the priority of our State's Advocacy Organization, Bike Delaware. They should be on top of, and advocating for safe routes for bicyclists with all road safety improvement and reconstruction projects. But they are not, despite their stated mission of "bikeway networks that everyone can use to get where they want to go on a bike". They are on record as not supporting on-road bike facilities, yet if bike lanes cannot be worked into this project, bicyclists will have no accommodations whatsoever. They will be left to use either the lanes of traffic or hop on the sidewalk to reach the intersection with Route 273. 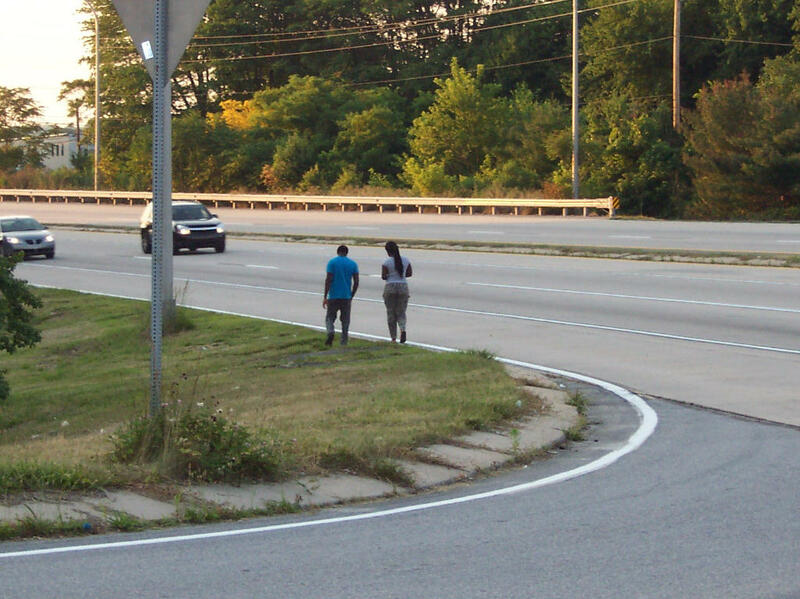 Consistent with Bike Delaware's focus on separated facilities, it could be an area that finds asphalt multi-use pathways (MUPs) -- instead of sidewalks -- are the best all around solution for non-motorized users. Below is a video, and a couple of photos. Pedestrians and bicyclists can be seen throughout the day traversing the intersection and its roads, even parents with their children on bikes. It's an area that DelDOT needs to make safe and comfortable for everyone, never mind so much emphasis on vehicle LOS. Wow!! That is me and my son riding back home!! We are having a ball on our bikes. Thanks for the work of this Advocacy Group.